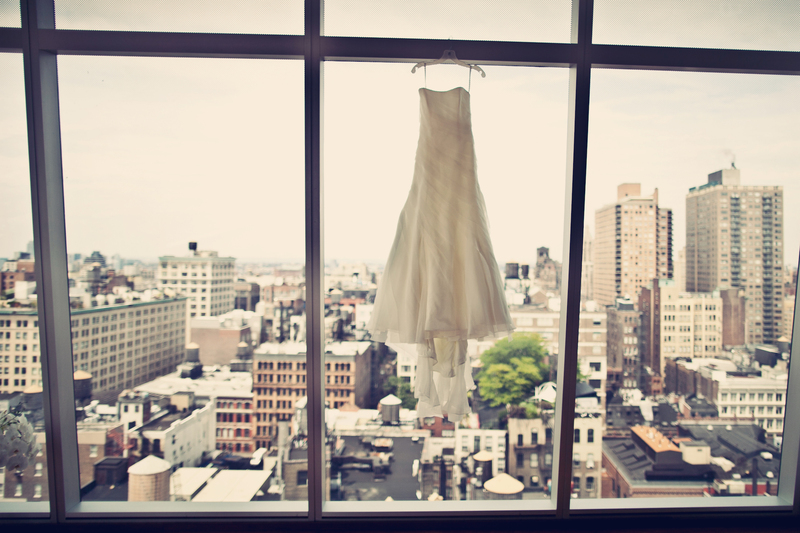 Christine and Alvin wanted to have a fun modern wedding, where they could share some of the city’s greatest attributes with their guests : Central Park and amazing New York City views! The ceremony was simple and romantic. 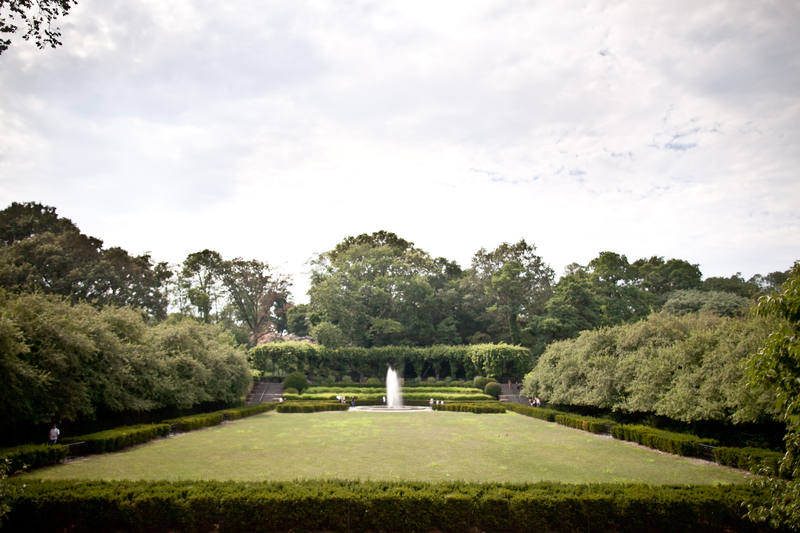 A string trio played while the bride and groom exchanged vows around a beautiful fountain. They decided to have a cocktail reception instead of a seated dinner. This allowed more time for mingling and dancing the night away! 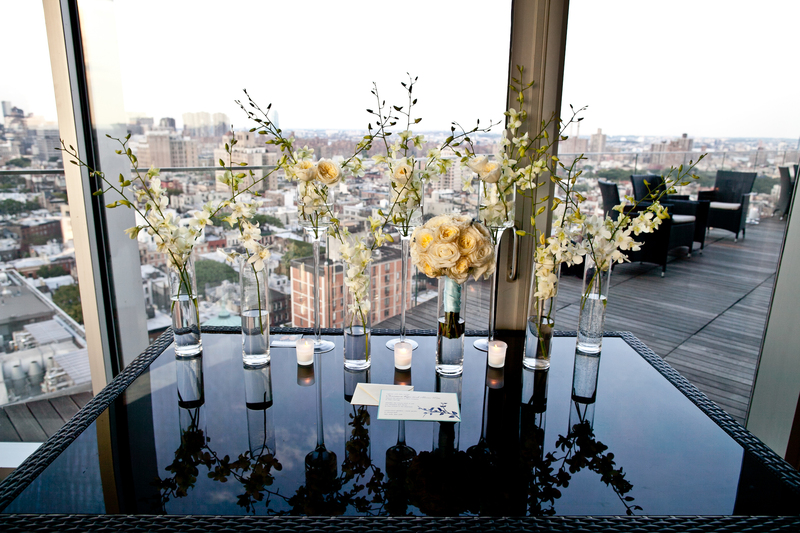 Two types of white orchids (phalaenopsis and dendrobium, the brides favorites), were used throughout the penthouse space. The unique layout of the penthouse provided opportunities for unconventional placement of floral and decor (ie bookshelves, floating candles and orchid petals in the tub of bathroom). 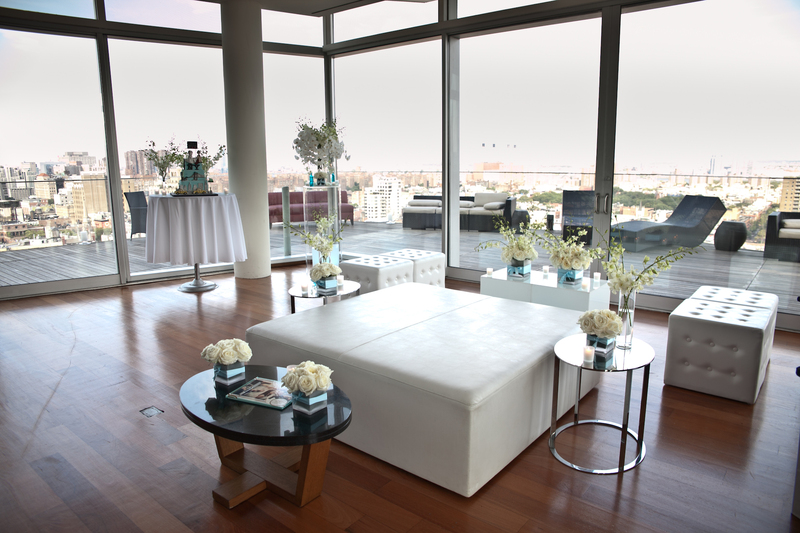 We brought in white lounge furniture and clear acrylic pedestals to accent the already open contemporary space. 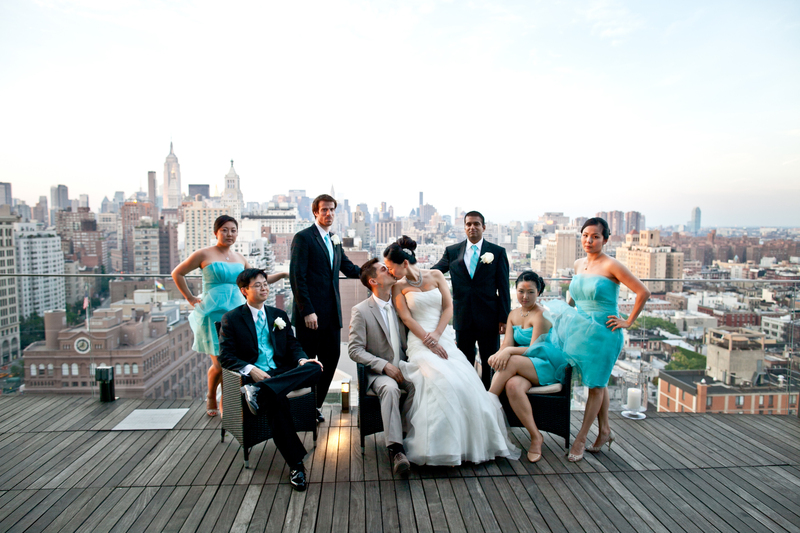 Guests had access to the large terrace which had endless views of the city skyline to complete the special night in the big city. Simple and romantic was definitely a recurring theme. 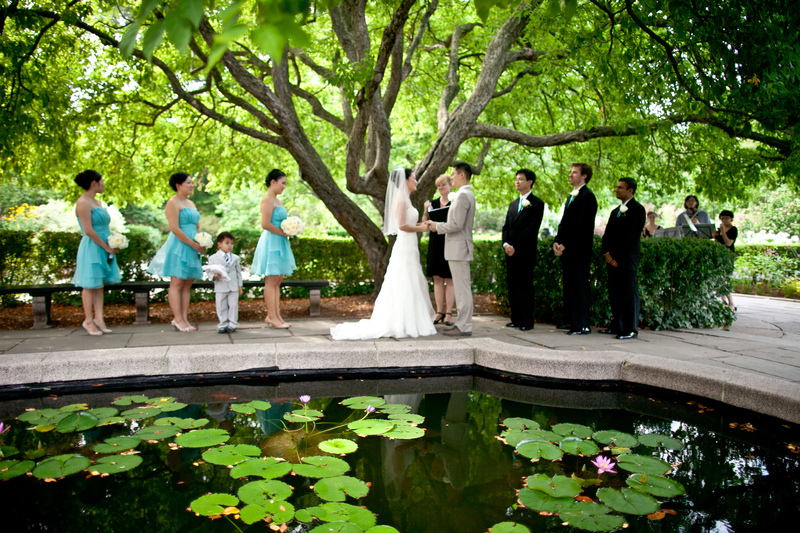 Lily pads added to the intimate wedding ceremony. Sharing vows around a beautiful fountain. 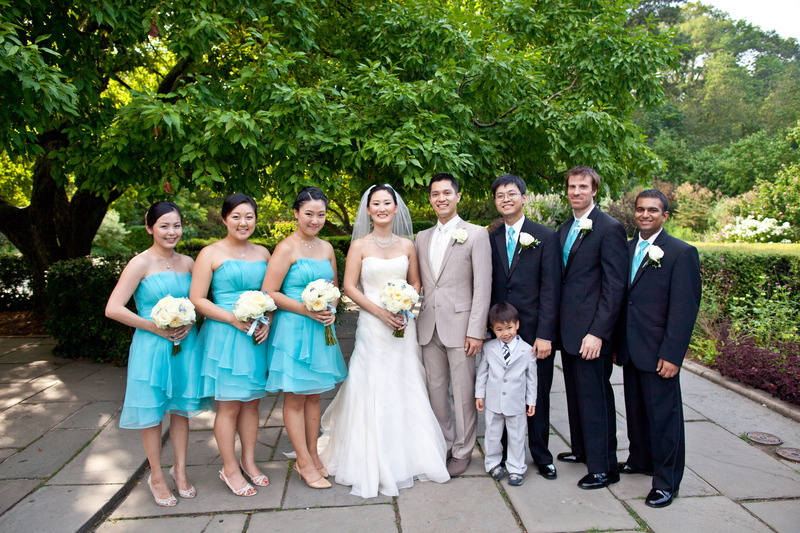 This wedding party rocked bright turquoise and bright smiles to match. 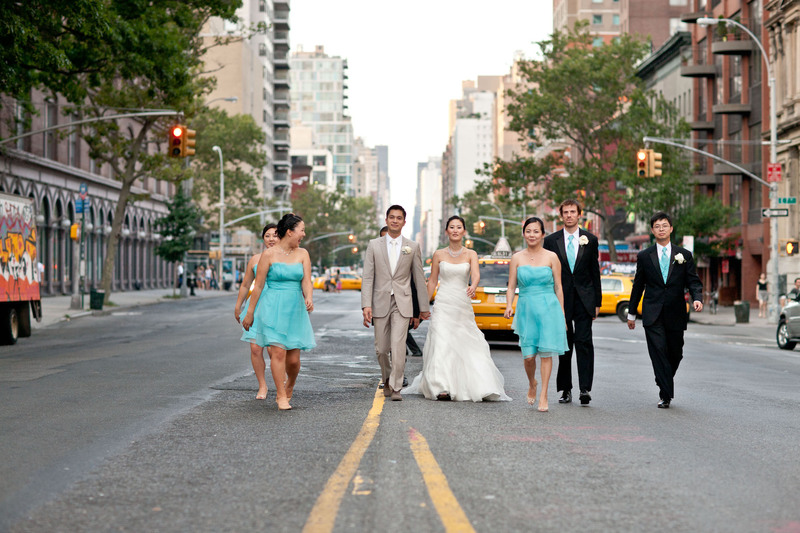 Just said their “I do’s” and casually strolled down a street in NYC. A chic modern twist for this penthouse cocktail hour! 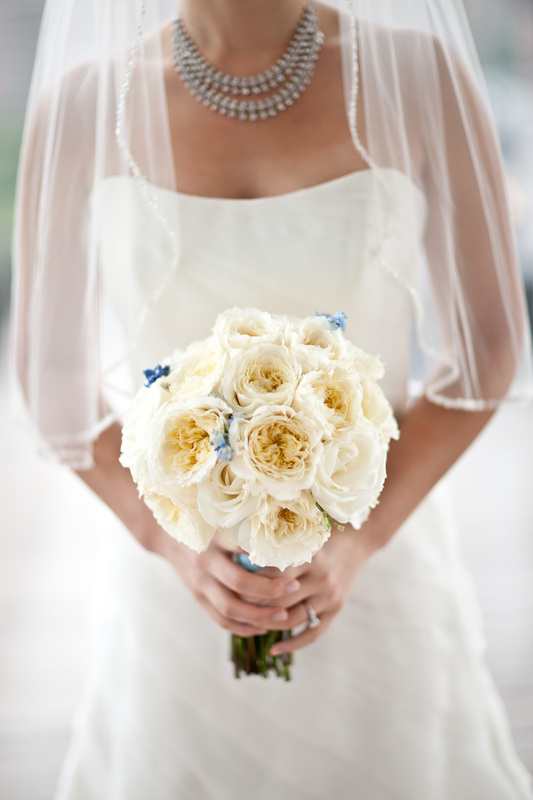 The bride’s favorite flowers made appearances all throughout the decor. 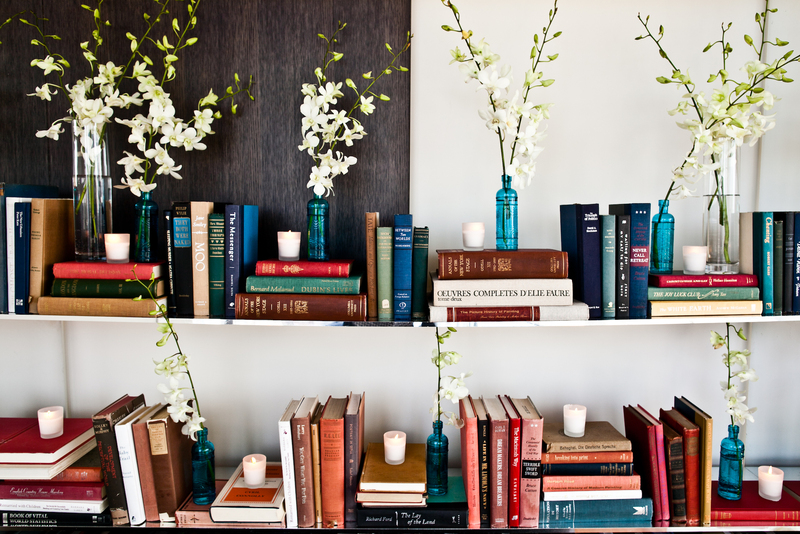 Florals and candles mixed in with books for added personal touch. 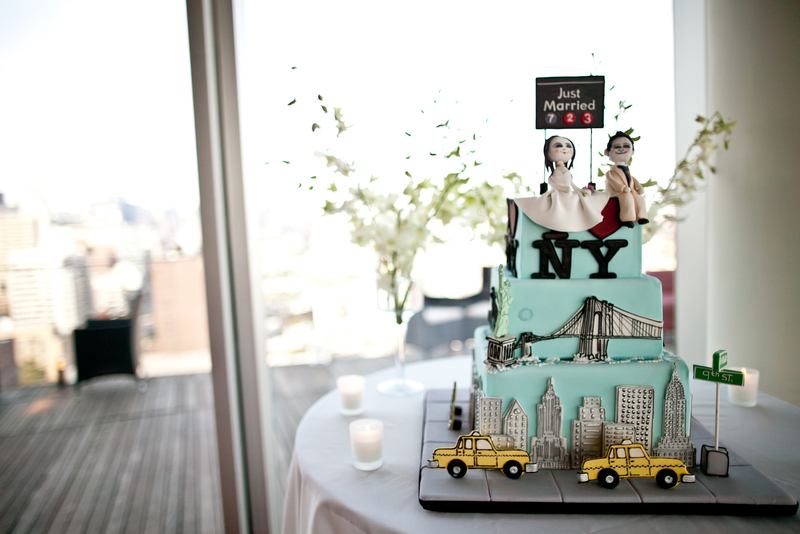 If this cake doesn’t scream modern New York, then we don’t know what does. Not a bad view to admire with your loved ones. 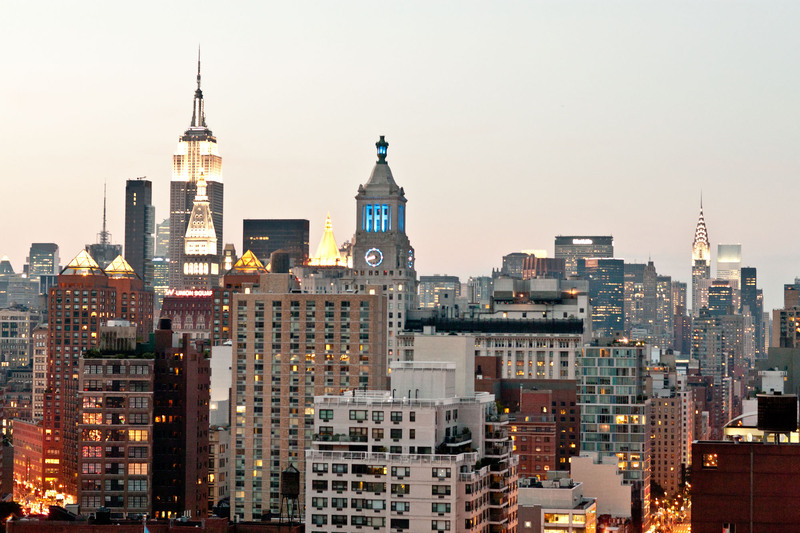 A perfect end to a perfect day in the city.